Graceful, dynamic and highly intelligent, the majestic Indo-Pacific bottlenose dolphins have fallen prey to human recklessness and greed. Strikingly similar to their common bottlenose cousins, Indo-Pacific bottlenose dolphins have only been recognised as a separate species in recent decades. 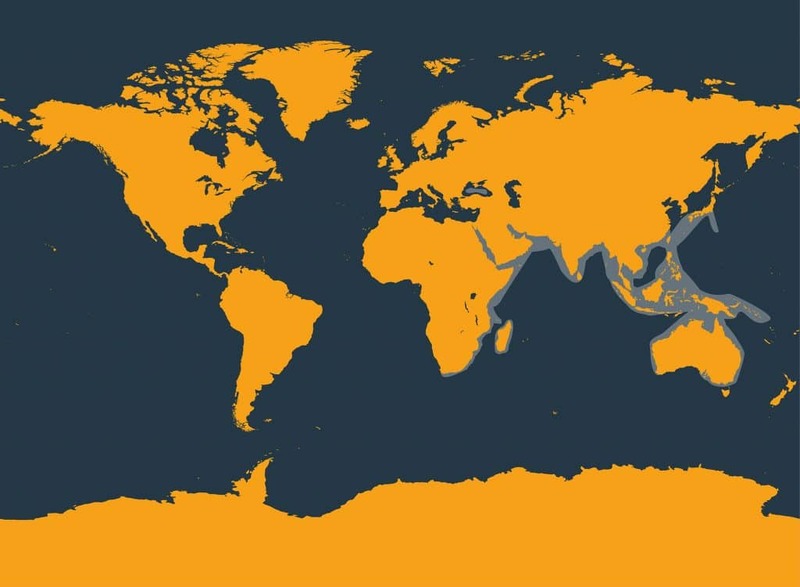 What do Indo-Pacific bottlenose dolphins look like? With a sleek frame glistening iridescent blues and greys, Indo-Pacific bottlenose dolphins are instantly recognisable. Made famous by corporations and TV shows, the world’s intrigue in these beautiful individuals has gone hand-in-hand with their prolonged and widespread exploitation. Well-known for their toothy “grins”, the Indo-Pacific bottlenose dolphins have a longer beak than the common bottlenose dolphin, as well as a more distinctive dorsal fin. Despite looking very similar, they also have a more streamlined, slender frame bearing different shading and, in some cases, a speckly underbelly too. 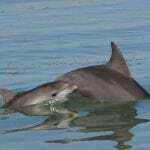 Happiest zipping through temperate waters, Indo-Pacific bottlenose dolphins have a taste for milder climes and are only found in the tropical waters of the Indian and western Pacific Oceans. Unlike most common bottlenose dolphin, these dolphins prefer shallow, coastal waters and it’s not unusual to see them in and around estuaries. In fact, one particular group has made the heavily urbanised Port River in Adelaide, Australia their home. What is life like for them? Not unlike humans, Indo-Pacific bottlenose dolphins are highly social creatures. Females have large networks of female friends, whilst males form such strong bonds with one another that “alliances” can last a lifetime. 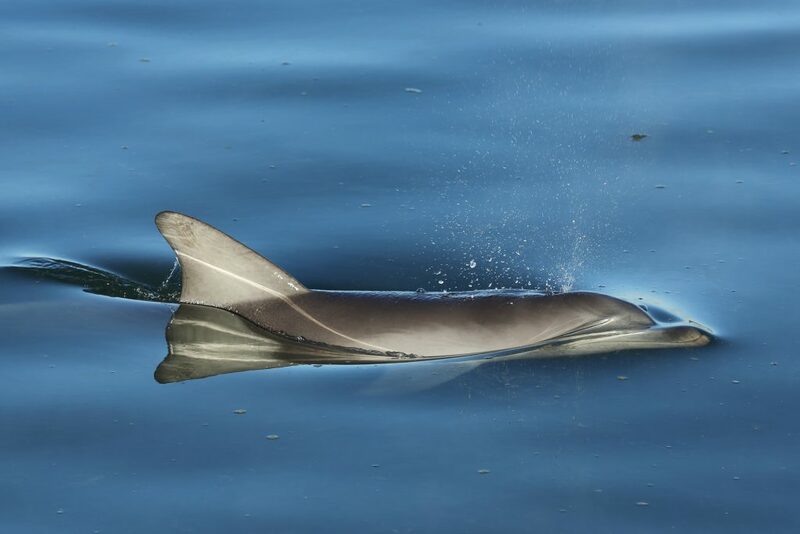 Sometimes numbering in their dozens, most groups of Indo-Pacific bottlenose dolphins include 5-15 individuals and juveniles spend several years with their family learning everything from social etiquette to vital hunting skills. 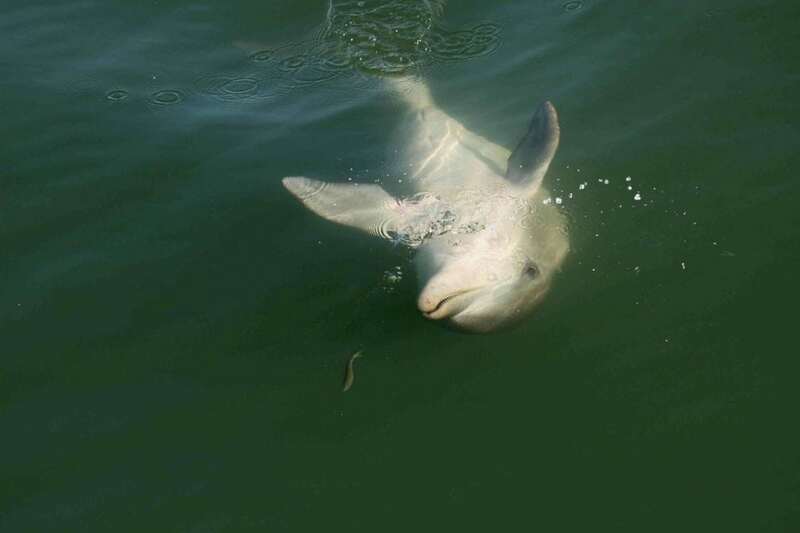 Young dolphins have much to learn and threats follow them into adult life, including predatory sharks and human activity such as boat traffic and pollution. Adapting to various conditions, from busy ports to sea grass bays to coral reefs, Indo-Pacific bottlenose dolphins enjoy a varied diet. With their quick-witted prey hiding in all sorts of tricky places, these dolphins are never ones to be thwarted and use all sorts of industrious tools and techniques to help them in their quest for fishy fodder. Firm favourites include squid, octopus and lots of different species of fish. 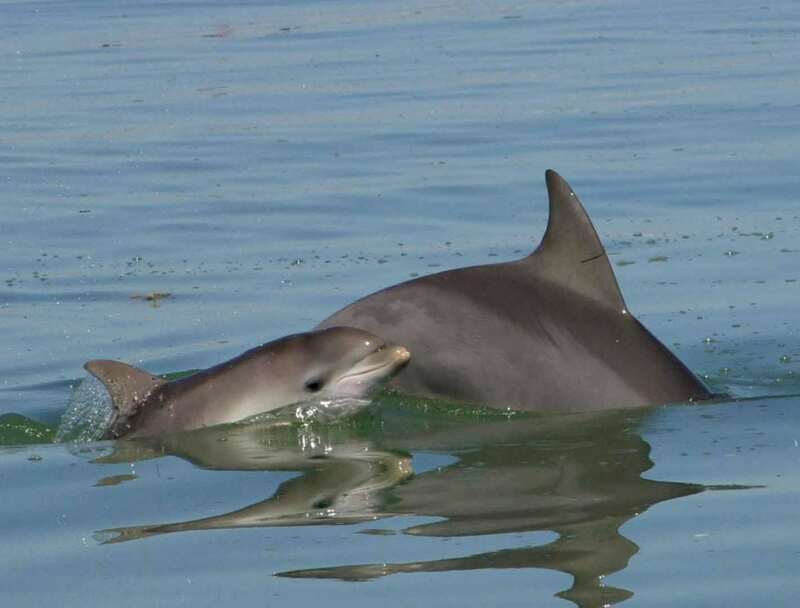 The dolphins of Port River in Adelaide live in an urbanised environment – not the most dolphin-friendly of habitats. To help keep them safe and limit their potential risks, a sanctuary was designated in 2005. Home to a 10,000-year-old mangrove forest, the sanctuary has a resident pod of around 30 dolphins, although another 300 pay regular visits! One way in which the Indo-Pacific bottlenose dolphins have demonstrated their remarkable cunning and versatility in the face of adversity is with sponges. Whilst they have fat-filled foreheads designed to help them with communication and echolocation, sometimes the dolphins are met with a challenge that requires a little ingenuity. Off the west coast of Australia, fish hide under the coarse seafloor, seemingly out of reach. Unwilling to cut their sensitive beaks and bodies, the dolphins use sea sponges on the end of their beaks to provide protection from the craggy bed. Females are particularly adept at this trick, and it is a skill that is passed on from generation to generation. Of Australia’s population of Indo-Pacific bottlenose dolphins, there is a certain group with an appetite for octopus. Connoisseurs of ‘fruits de mer’ as they are, the dolphins enjoy the nutritional benefits of these eight-legged beings, as well as the taste. But, that many tentacles come with a problem. To make sure the octopus’ legs don’t get stuck in their throats, these resourceful dolphins shake and throw their meal around until it is limp and easy to digest, With the octopus suitably out of action, the dolphins can enjoy their food risk-free. In Japan, the major threat to Indo-Pacific bottlenose dolphins is their continued persecution in Taiji, where they are one of the many species mercilessly hunted in the notorious drive hunts. As a result of these hunts, huge numbers of dolphins are killed and many others are picked out for a life in captivity, imprisoned subjects for human entertainment. Whilst many dolphins end up in dolphinaria within Japan, countless are flown thousands of miles across the globe to marine parks to be deprived of their natural right to freedom. Help us to stop this cruel trade, donate today. Hunting – several countries still hunt and kill Indo-Pacific bottlenose dolphins, including Japan. Captivity – Indo-Pacific bottlenose dolphins are captured in dolphins hunts in Japan and individuals taken away from their families to be sent to marine parks for human entertainment. 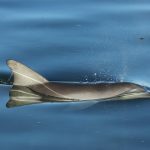 Pollution – toxic chemicals from plastics, litter and oil spills build up in dolphins, seriously harming their health and their ability to have young. 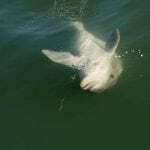 Fishing gear – the dolphins get accidentally caught in fishing nets and lines, injuring or even killing them.